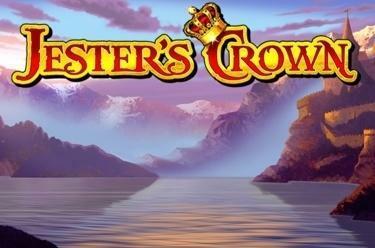 Play Jester’s Crown online for free now! The hero clad in green in Jester’s Crown - a daring, cunning and excellent archer - ambushes the rich in the forests to take their fortunes and spread it on the reels. Hook up with him and support his fight for justice. Your ultimate goal: overthrowing the king and putting the cheerful jester in his place. As a reward you receive Free Games brimming with double wins and a Progressive Jackpot! Land 5 identical symbols on one of the 40 lines and the Joker jumps for joy of winning! If you land at least 3 Scatter (Crowns) you bag 12 Free Games. During the basic game the Joker substitutes as part of a winning combo for any symbol except for Scatter. The Joker wearing the "x 2"-Fool's Cap assumes the same role in the Free Games with the exception of also doubling the line win when he substitutes for symbols! 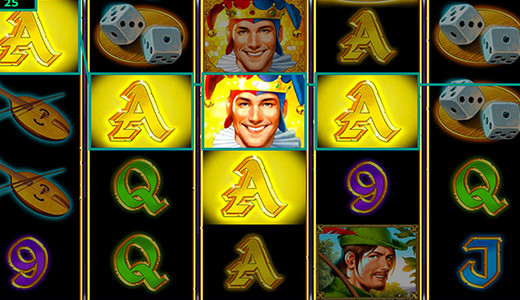 You win 12 Free Games from 3 Scatter symbols (Crowns) landing in any position on the reels. The Joker appears during the Free Games wearing his "x 2"-Fool's Cap: as a Wild he substitutes for all symbols (except Scatter) and doubles your line win if he is part of a winning combo. Moreover, only the "x 2"-Joker and the Crown (Scatter) occupy all positions of the third reel during the Free Game rounds. 3, 4 or 5 Scatter trigger further Free Games. You crack the Progressive Jackpot of Jester’s Crown if 20 Jokers appear on the reels at the same time. If you play with a maximum stake 50% of the Progressive Jackpot is won in the regular game, 100 % of the jackpot is won during Free Games (you can see your actual winnings above the reels). If you bet less than the maximum stake you receive the relevant share of the jackpot amount.